When it comes down to it – our feet are quite complex, made up of twenty-six bones, thirty-three joints, and more than one hundred tendons. And since we rely on them for carrying our full body weight and getting us from point A to Z and everywhere in between, there’s a lot of room for things to go wrong. From corns and calluses to bunions and fallen arches, most of us have experienced foot pain at some time in our lives; in fact, one survey found that of the 1,000 American adults between the ages of 18 and older queried, 77% had some sort of foot discomfort. So when your tootsies start to smart, which doctor should you see? An orthopedist or a podiatrist? Both podiatrists and orthopedists (as well as orthopedic surgeons) are trained in the musculoskeletal system and treat disorders of the feet. However, there are some significant difference between the two. Being knowledgeable about them will ensure you select the best physician for you. Here’s what you need about podiatrists vs. orthopedists. For starters, each doctor earns a different medical degree and must undergo varied courses and educational requisites. More specifically, an orthopedist is an MD, or Doctor of Medicine; while a Podiatrist is a DPM, which stands for Doctor of Podiatric Medicine. Both are required to be licensed in the state in which they choose to practice. Orthopedists spend more years in school, as they’re required to not only complete a traditional medical path as an undergraduate, but also go through residency and five years of general surgery training plus a focus in their specialty. This means that they can end up training for a total of 13 years by the time they can hang their shingle. Podiatrists, on the other hand, must first earn a bachelor’s degree and then attend an accredited podiatric medical college; this graduate course of study will take about four years, after which the Doctor of Podiatric Medicine (DPM) degree will be presented. When considering a specialist, it’s always best to consider your ailment. 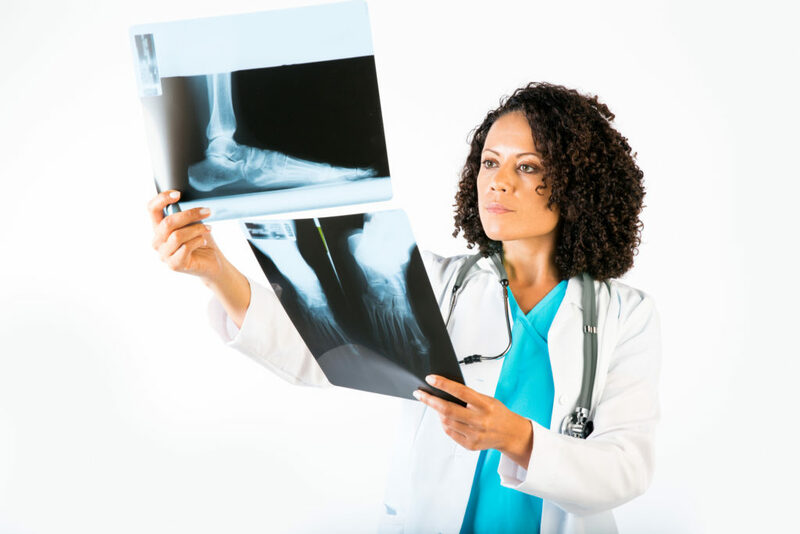 Some orthopedists handle disorders of the entire musculoskeletal system while others choose a niche and may specialize in disorders of the foot and ankle. Do your diligence by speaking to your primary care physician and then researching doctors on your insurance provider’s website. If you’re suffering from a common or dermatological foot-related issue such as ingrown nails, foot fungus, fallen arches – or you think you could benefit from custom orthotics, a podiatrist will be your go-to. The same is true if you have diabetic issues that affect your feet. Conversely, a foot & ankle orthopedic surgeon would be more equipped to mitigate more complex issues affecting the bones, muscle, tendons, and soft tissues. There are, however, many exceptions and orthopedists will often offer services catering to dermatological foot issues as well. Consider an orthopedist if you believe your foot issues may be the result – or impacting – the rest of your musculoskeletal system. Remember – when it comes to your bones and tissues, everything is connected. The board-certified, fellowship-trained orthopedic surgeons of Orthopaedic Associates of Central Maryland have extensive training in the diagnosis, treatment, and prevention of ankle & foot disorders ranging from Achilles tendon tear to toenail care. They also offer state-of-the-art surgical techniques and cutting-edge diagnostic imaging services from the comfort of their convenient office locations. For more information, or to schedule an appointment, call 410-644-1880, or toll-free at 844-215-5993.